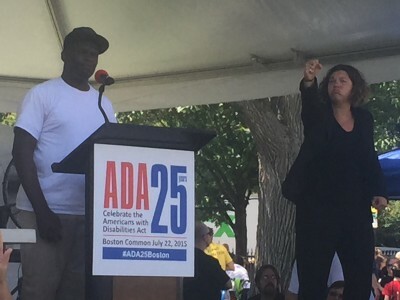 You are here: Home > ADA 25th Anniversary: Boston Commoners are We! 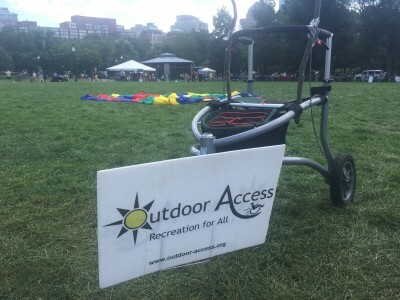 A person with disabilities of my own, I was grateful to make it down to the Boston Common for the ADA25Boston Celebration yesterday, thanks to Edith, my beloved get-it-done/personal-care assistant and companion, who drove us down from our home in the Topsfield wilderness. 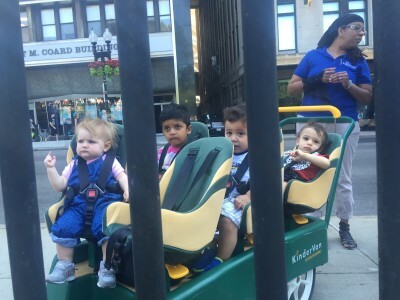 Edith helped us get to the start of the march, at the corner of Tremont and Boylston Streets, by 11am. 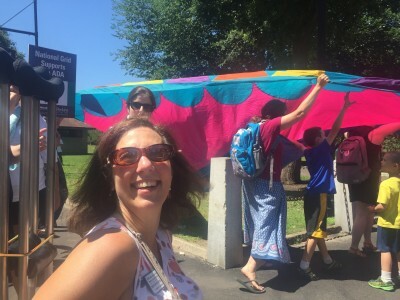 Many volunteers were available to offer help getting oriented and affirming we were in the right place. 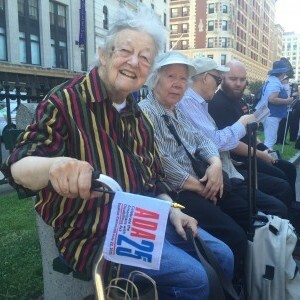 People of all ages from the local Chinatown neighborhood were there to participate and to enjoy watching the march. 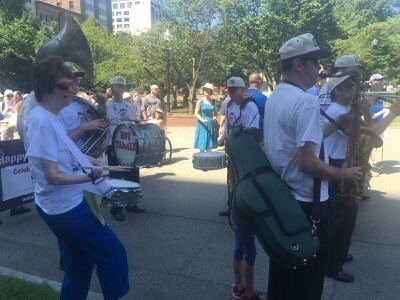 The Hot Tamale Brass Band created a festival mood and I enjoyed moving and grooving to their music. 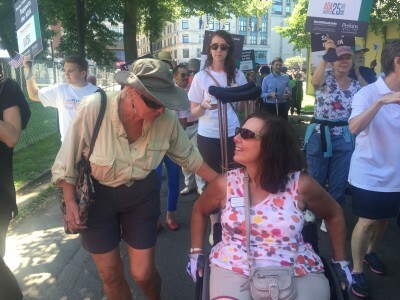 We met our friend and fellow Mass Lifespan Respite Coalition member, Marianne (the first independent wheelchair-user of our accessible MargFMac Front Garden Loop), at the march, and enjoyed walking and wheeling together along the route. 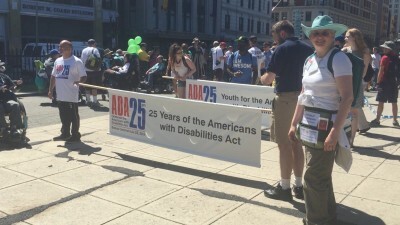 The ADA25Boston March wove its way through the Boston Common park, passing all kinds of interested individuals, couples, families, groups, workers, sleepy homeless, suited professionals, and creative congregations. 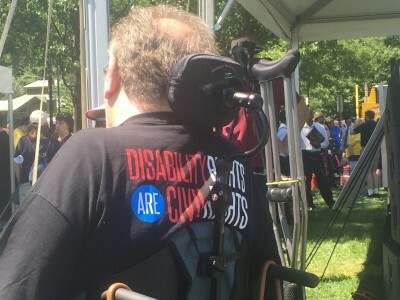 We reached the speaker’s tent, and took a seat near the front, right behind people using walkers and wheelchairs. The speaker list included leaders from the state, a motivational speaker from the community, and an inspirational poet, Lewis Morris. His poem was about living with autism and having no words – being silent – for much of his childhood… which then led to his creative writing and speaking path. 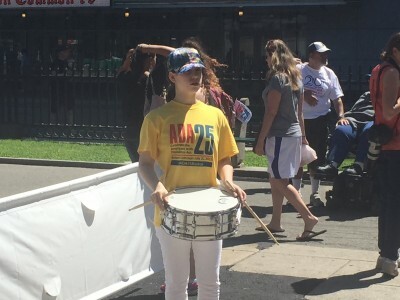 Guest musicians included a Cambridge man who had suffered a car accident and became paralyzed, making his reality more complex, and a music therapy student from Lesley University. 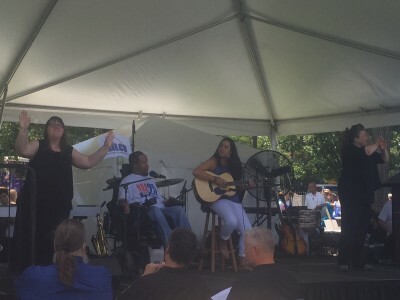 He shared his story, and the positive collaboration with the music therapy student, and together, they performed a song they co-wrote, a beautiful song about flying past your limitations. 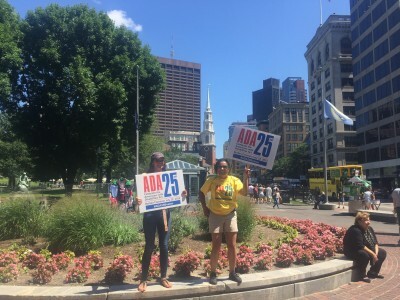 Office for Civil Rights: Boston is one of ten regional offices nationwide! 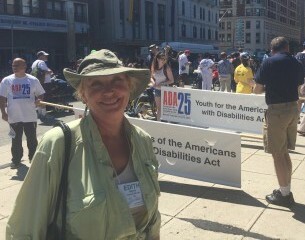 Leaving the ADA25Boston celebration around 2:30pm, we were able to beat the rush-hour traffic as we headed north, back home to Topsfield, where I collapsed on the sofa and slept soundly in a restorative corpse pose for three hours. 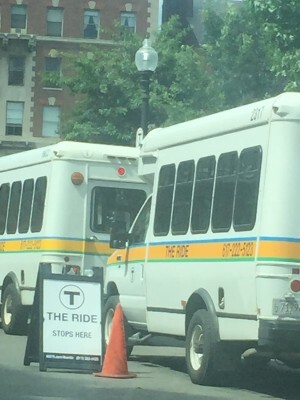 The Ride – Stops in Downtown, but Also in Topsfield, MA!